Pork Belly prices plummet! What goes up must come down, said food and livestock analysts. 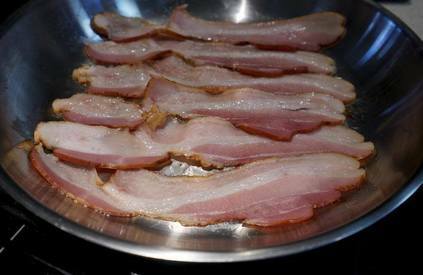 The retail Bacon price spike dampened consumer and food service sales. That, in turn, has sent wholesale pork belly prices falling about 50 percent in the past few weeks, said Steve Meyer, a pork analyst at Indiana-based EMI Analytics.